Sinkology artfully handcrafts each sink from pure solid copper. The Seville copper bath sink features an overflow system and 4 inch faucet holes that makes installation quick and easy. 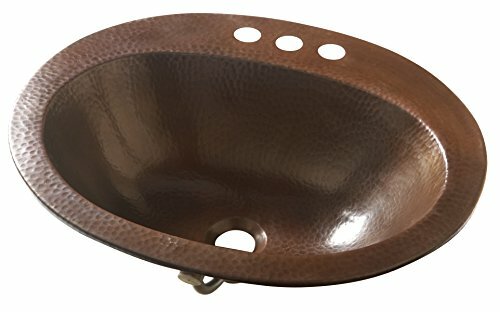 Designed to be the best copper bath sink you could own and install yourself. Dimensions: 20" x 16" x 5.5"